K Bee Window & Siding, Inc. Comment: minor repair needs to be completed in two spots. Comment: Siding on a Cape Cod. Comment: Looking to replace old cedar siding on the upper half of a 1.5 story house. If reasonable enough we'd do the entire house, but the upper half on both sides is what is needed. Comment: Bi-level house and detached 3 car garage needs old wooden siding removed and new vinal siding put up. 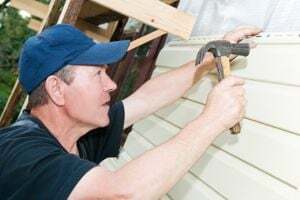 Brockman's Roofing and Siding, Inc.
Appleton Siding Contractors are rated 4.68 out of 5 based on 197 reviews of 14 pros. Not Looking for Siding Contractors in Appleton, WI?